Hospice and palliative care for pets is very similar to the in-home hospice care available for terminally ill people. Gift of Goodbye’s hospice service is for pets in the later stages of terminal illness or those experiencing a decreasing quality of life due to aging or other debilitating illness. 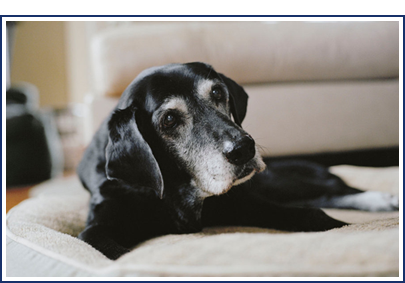 Hospice is focused on caring, not curing, with the goal of providing the best quality of life possible for your pet in his or her home environment during the remaining time you share together. Through hospice, this time may be experienced with compassion, peace and dignity until natural death occurs or the decision for euthanasia is made. We at Gift of Goodbye understand that having a pet with a terminal illness and/or declining quality of life also profoundly impacts the owner(s) and other loved ones. Therefore, we offer support, guidance and education to the family or other caregivers throughout the hospice period. We will help you with difficult decisions that arise by offering you our expertise and support through each step of the process. If at any time, the decision for in-home pet euthanasia is made, we will come to your home when you need us to facilitate your pet’s peaceful passing.